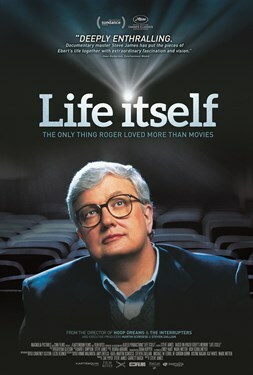 Based on his bestselling memoir of the same name, this documentary explores the impact and legacy of Roger Ebert's life, from his Pulitzer Prize-winning film criticism at the Chicago Sun-Times to becoming one of the most influential cultural voices in America. Given unprecedented access to Roger and his wife Chaz during the final four months of his life, the filmmakers captured Roger's fighting spirit, sharp sense of humor and the ways he directly inspired filmmakers, family and fans. Following his illness and disability, Roger's writing transcended film criticism and using his blog and social media, he become a thoughtful commentator on the political and social issues of our time. His public defiance of cancer and his resulting disfigurement brought inspiration to countless thousands. Interview subjects include filmmakers Werner Herzog, Errol Morris and Martin Scorsese, producers of his iconic and long-running television show, and the wife of his co-host Gene Siskel, Marlene.